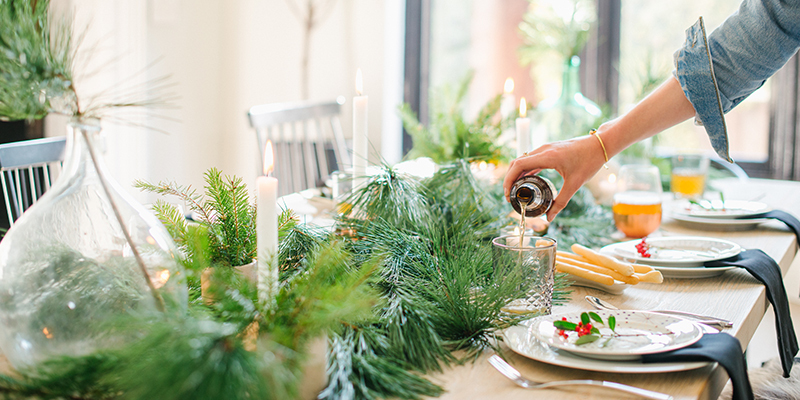 When setting a holiday table, it can be a little hard to figure out where to start. To give yourself a little direction, it’s a good idea to pick a color palette. Color can help you create and stick to a look that will feel pulled together. To keep things from getting too busy, stick with 3-4 colors max on a table. For the holiday season, subtle pops of red and metallic lend a festive mood. 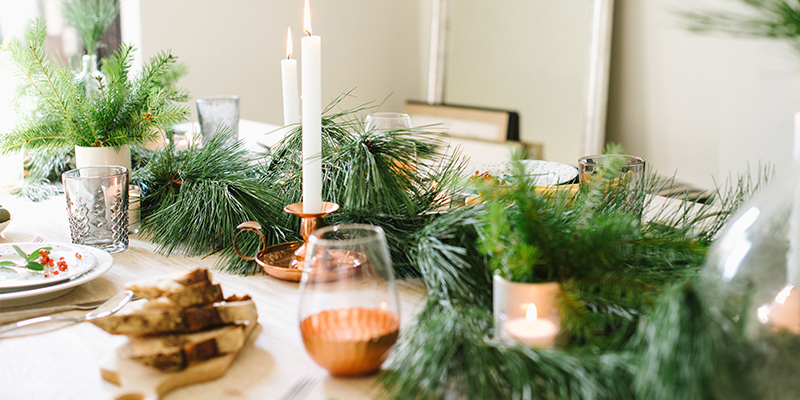 All things copper are having a major moment. 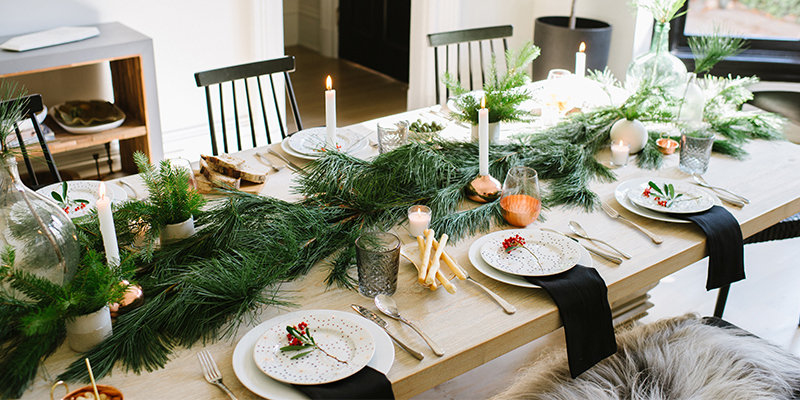 So, for this table, we grounded the table with deep forest green pine boughs and classic white dinner plates. We included the copper trend with some cool glassware and added just pop of red on each plate for that perfect holiday touch. 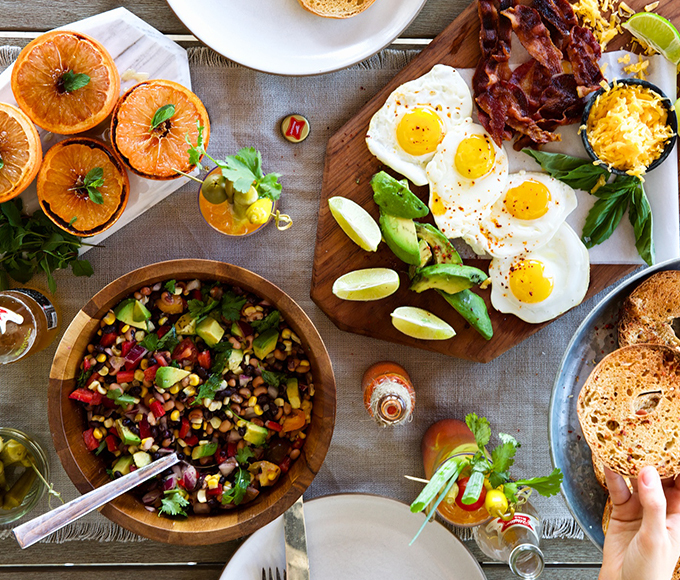 There’s no need to stress about place setting etiquette when it comes to your table. Feel free to let your creative side come out. 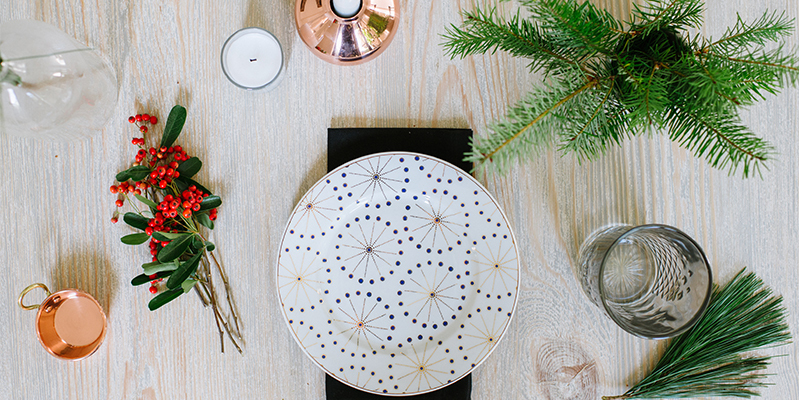 Layering your plates is a nice touch to elevate each place setting. A dinner plate topped with a salad plate with a cloth napkin tucked in between is a super easy way to create a stylish place setting. And no need to worry if your dishware doesn’t match. 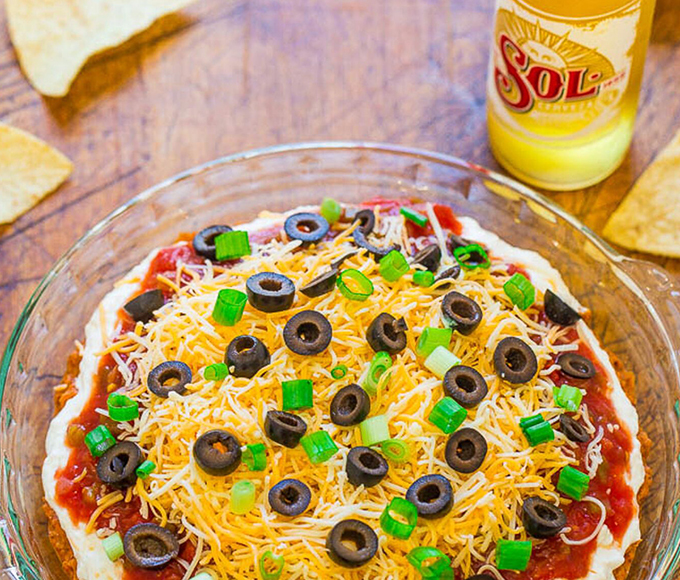 We simply topped a collection of random white dishes with a decorative salad plate that pulled the entire look together. 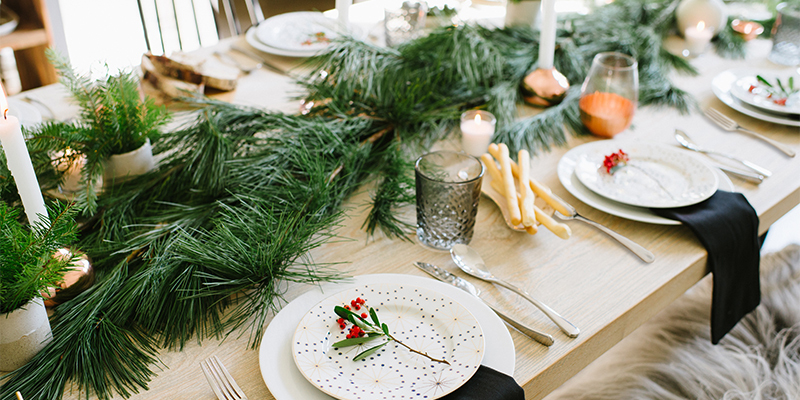 Adding a seasonal touch of greenery atop each plate really enhances the entire look. 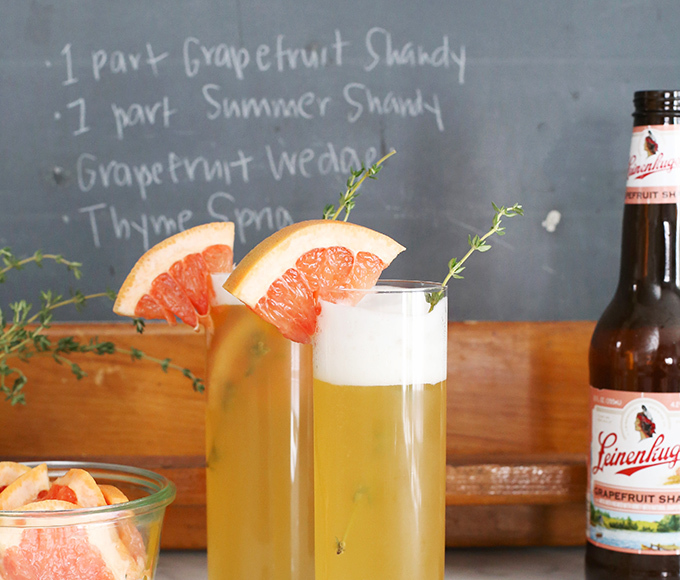 To set a warm, relaxed atmosphere, continue the mismatched vibe to your glassware. By mixing different types of glasses, it adds more color and texture to the table. For this holiday table we incorporated copper dipped stemless glasses and smokey gray tumblers for a fun look that goes beyond the pint glass – a traditional choice that’s typically reserved for beer. 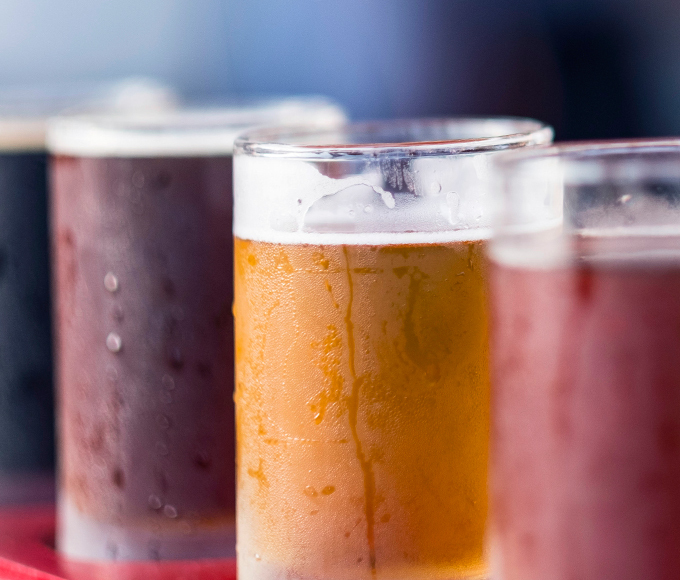 All in all, the variety of glasses encourages your guests to try a little bit of everything throughout the evening. Whether you want the glasses on the left or right, or you set your silverware on top of the plates or all to one side is totally up to you! Just be sure to keep each place setting consistent. This will ensure you achieve that simple and clean look, even with a few mismatched plates and glassware. 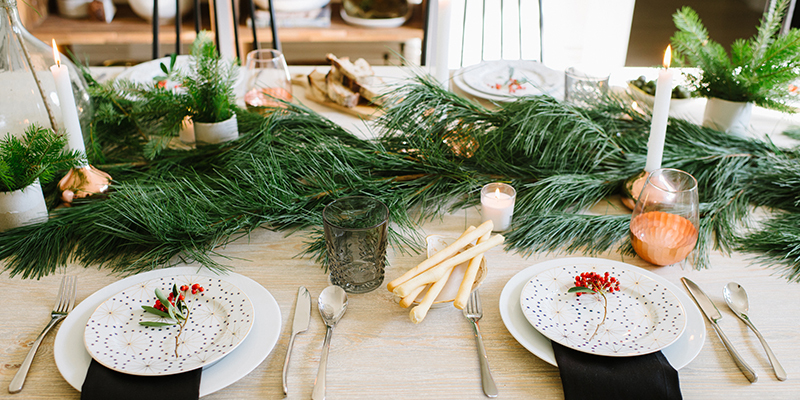 Adding seasonal greenery like a sprig of pine, or bundle of rosemary can instantly give your table that holiday touch. When adding florals to your table, it’s best to make sure the scents compliment the drinks and food and don’t distract from it. Garlands of greenery are great as they don’t block conversation and add interesting dimension on your table without needing a huge stock of vases. In this case we used pine boughs as the centerpiece and toyon berry for the pop of red in the place setting. Unable to find those? Garlands of magnolia or boxwood are a great alternative. And if you find yourself needing a vase, a great trick is using pieces from your own collection of glassware. It all plays nicely with the eclectic, mismatched vibe. Before your guests arrive, be sure to take a moment to capture the table you’ve just created and give yourself credit. 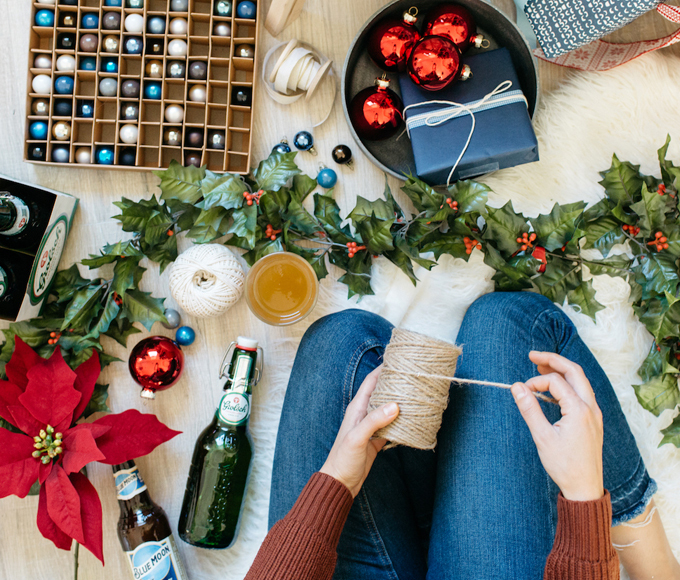 It is not always easy being the host during the holidays but with these tips, hopefully you can have a stress-free celebration so all you have to worry about is enjoying good drinks, tasty food and the company of great friends.